"Until February 2017 I was very fit and healthy, particularly keen on walking and running. At the beginning of the year, I had two or three occasions when I had a sharp pain during urination but these passed and I soon forgot about them. At the end of February, after a bowel movement, I suffered intense sharp pain in my lower left abdomen and back which was unusual. I was hoping it would pass and we went out to test drive a car, but the pain continued. It got so bad that we went to the NHS drop-in centre in Norwich. The nurse did some general tests such as taking my blood pressure and a urine sample which were fine, but told me to go to my GP if the symptoms continued. During the night I vomited as I felt so awful and was still in a lot of pain. I called my GP first thing in the morning to get an emergency appointment. The GP felt my tummy and thought it might be diverticulitis so gave me a course of antibiotics. I was due to go on a walking holiday to the Canary Islands in a fortnight so was keen to make sure I was OK to go. However, the pain continued so I rang and asked for another urgent appointment a week later. The GP felt my tummy again and asked if I had recently emptied my bladder, which I had just ten minutes previously. She said that my bladder hadn’t fully emptied and at this point she organised an urgent blood test. The doctor rang me the very next day and told me there was raised marker called CA125 in my blood sample, which could be caused by a number of things, one of which was cancer. She was keen to refer me for an ultrasound but said I should go on my holiday, (which was in two days), and that I could have it on my return. By the time I went on holiday I thought I could feel a lump in my tummy, so I called it Cyril the cyst! A week after my return I went for the ultrasound on a Friday. I did say to the sonographer that I could feel something there which she confirmed and advised me to go to my doctors immediately to organise an appointment. My GP rang me over the weekend to make sure that I could see her on Monday, which is when I started to realise this could be serious. When getting my results from the ultrasound the doctor told me I had a large complex mass filling my pelvis, that it didn’t look like a normal cyst, and it could be benign or may be cancerous. I was then fast-tracked to see a specialist in Norwich. By this time I was prepared for the word ‘cancer’ and was not daunted, although it was difficult to prepare my husband for the news. "I was prepared for the word ‘cancer’ and was not daunted, although it was difficult to prepare my husband for the news"
The specialist said he was confident it was unlikely to be cancer, but explained the operation I would need to remove the mass and referred me for a CT scan. At this point, I told my (adult) children what was happening. A few days after the scan I was gardening and was hunched over for some time. A severe pain developed that wouldn’t abate, despite painkillers, so my husband called 111. The operator tried to arrange an ambulance for me but none were available so my husband drove me to A & E that evening. It turned out that one of the cysts had twisted and I needed a catheter as a cyst had grown and was pressing against my bladder. Because of this, the planned surgery to remove both ovaries and fallopian tubes was brought forward 10 days. Biopsies were taken during surgery and one cyst tested as cancerous so they removed nearby lymph nodes as well and biopsied the omentum. There were tumours on both ovaries, one 15cm and one 8-10cm. I was told the outcome when I came round after surgery. The surgeon had originally said that they were unsure of the status of the larger tumour, but that the smaller one had been ‘suspicious’. I immediately knew this meant cancer even though it wasn’t said. I was in the hospital for three days. At the follow-up meeting I was told that both cysts were cancerous, but the cancer had not spread so it was classified as Stage 1b. At this point I was asked if I would like genetic testing. There is no cancer in my family apart from an elderly uncle who had prostate cancer but I decided to do it and completed the forms, had a phone discussion with a counsellor and did the test. I then had six rounds of carboplatin (a low dose chemo). I suffered from some queasiness and acid reflux but was grateful not to experience any hair loss. I had to have one chemo round deferred and was given injections to boost my immune system but these made me feel very ill, so I didn’t take the full course! My last chemo was in October 2017, I had a CT scan in November and my results in December showed there was no sign of disease, so I now see my doctor once a year for a blood test and clinical review. During chemo, I received a call from a genetic counsellor to inform me that I was BRCA2 positive. This came as quite a shock and was more upsetting to me than the cancer diagnosis when I thought my children, and possibly grandchildren, might have it too. My daughter opted to be tested and unfortunately found out she is also BRCA2 positive. She is currently having annual mammograms and MRI scans of her breasts. However, she is concerned that there is no regular test for ovarian cancer that she can take and may consider having her ovaries removed as a preventative measure in the future. We both believe that ‘knowledge is power’ and this does mean we can take some control. As a Catholic, I feel my belief and the strength of prayer has carried me through this last 18 months, and I have had a lot of support from friends and family which has helped to keep me positive and optimistic for the future." 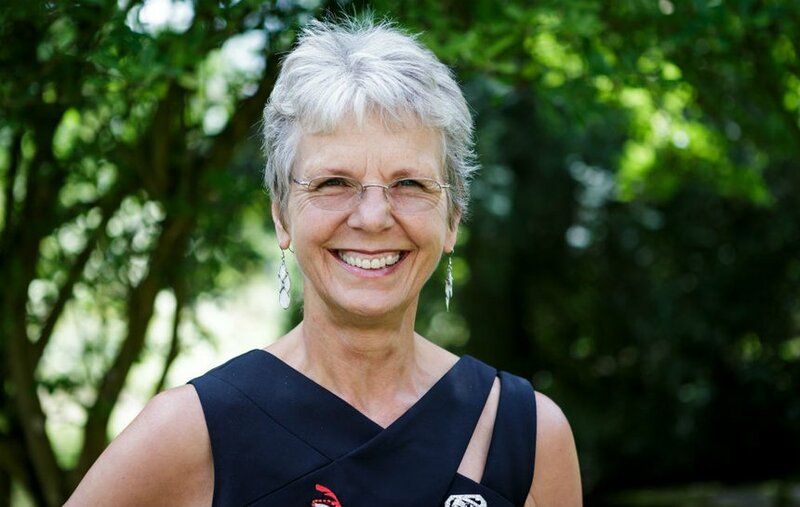 "Familiarise yourselves with the symptoms and if you're in doubt whether you have any, see a doctor"
Janet Watkins, 55, was diagnosed with Stage 3 ovarian cancer on March 31 this year. As she prepares for surgery, she reflects on her journey so far.